Ultrasonic coating technology, followed by a low temperature heat cure, offers a cost-effective alternative to costly sputtering-based coating equipment for package level EMI (Electromagnetic Interference) shielding processes. 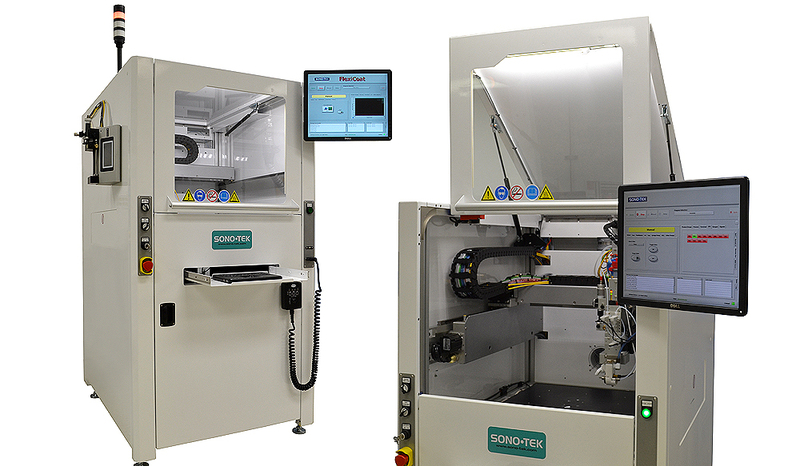 High performance silver EMI shielding coating materials are applied with Sono-Tek’s FlexiCoat fully automated XYZ motion coating systems in mobile device manufacturing processes. 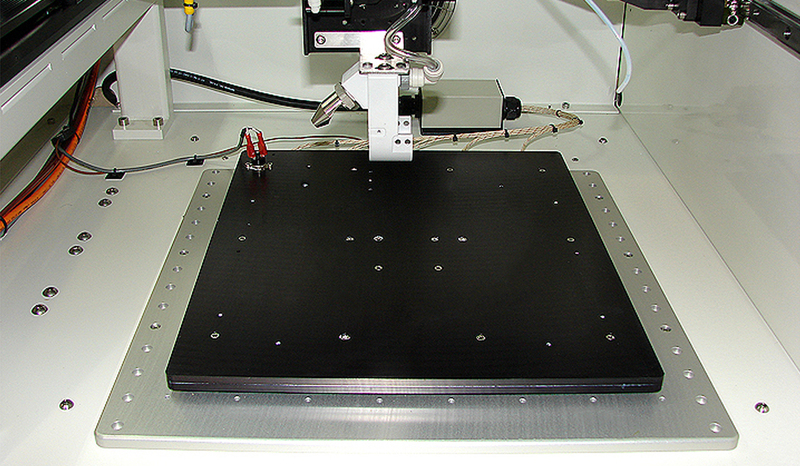 FlexiCoat is available as an in-line conveyor configuration for high throughput processes. 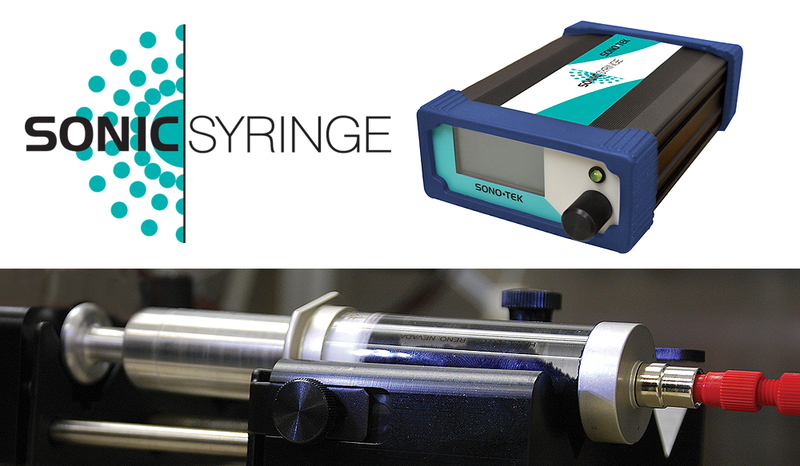 Sono-Tek’s non-clogging ultrasonic coating technology is well known for ultra-thin micron layer coatings of functional and protective materials. The ultrasonic vibration of the nozzle effectively disperses particles in suspension and produces very uniform dispersion of particles in thin film layers without conductive particle settling out of suspension. Spray-on silver-filled epoxy shielding materials have been in use for several years. Thinner, lighter device designs have made the transition from board level shielding to IC Package shielding, enabling higher board density. Silver-filled polyester coatings are applied using ultrasonic spray following package placement as an alternative to sputtering. 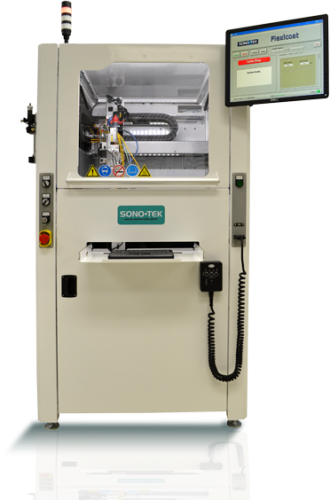 At a fraction of the cost of sputtering technology, Sono-Tek ultrasonic coating systems have been used as CVD alternatives where cost savings is a significant concern during manufacturing. Effective EMI shielding coatings enable high processing speeds without operational disruption performance issues from neighboring device electromagnetic field interference.